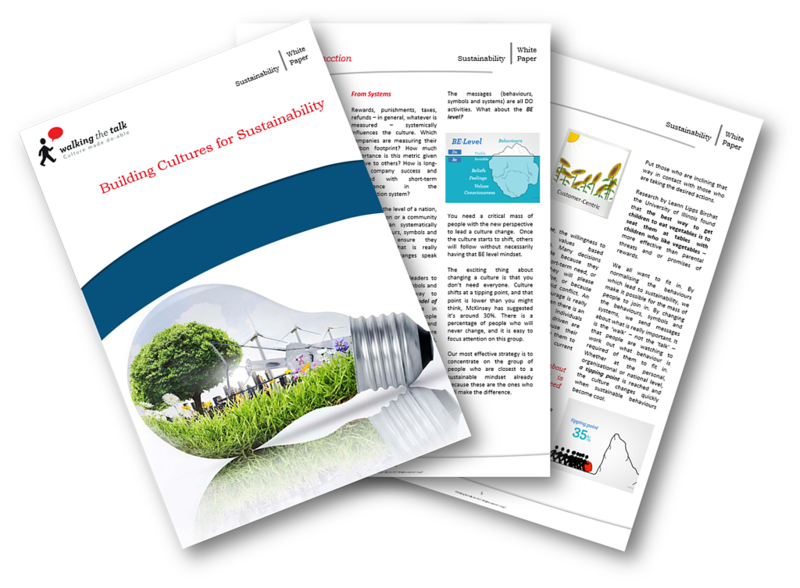 Thank you for your interest in our Building Culture for Sustainability White Paper. To download just complete and submit the form. As sustainability becomes an important objective for many,leaders in organisations are considering how they can change their own behaviour and influence that of their colleagues. In this endeavour they inevitably discover that there are forces in the culture which draw inspired leaders back into the organisation’s status quo.